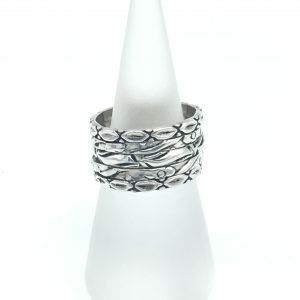 Oxidized Patterned Bands, made of solid sterling silver. 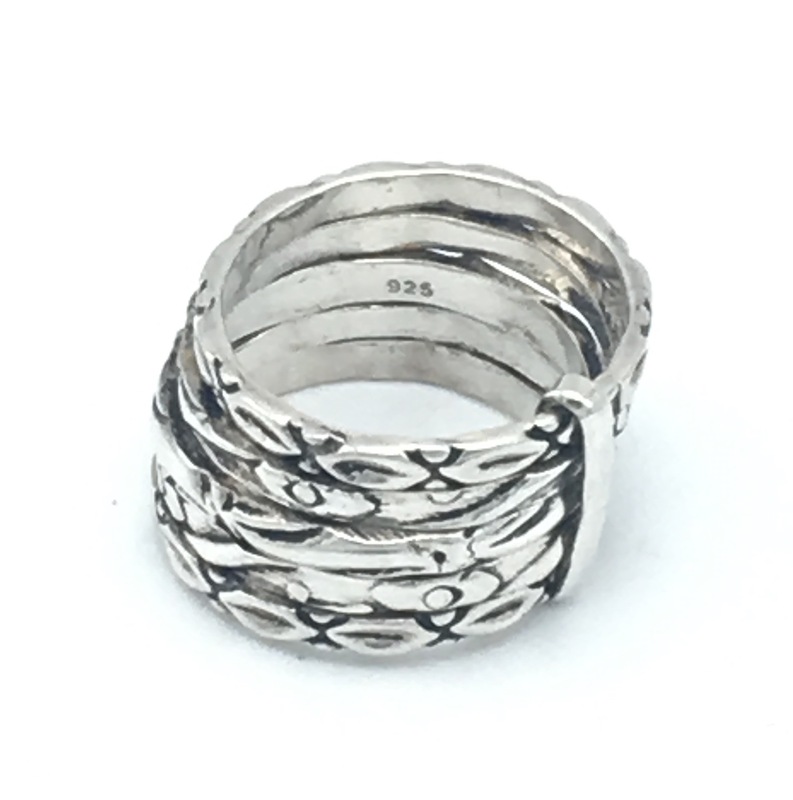 In this original ring, there are 5 unique rings all joined together with a sterling silver flat belt. Each ring is patterned and then oxidized (a technique in jewellery making where a chemical is used to permanently blacken the sterling) to reveal the beautiful detail of each ring. 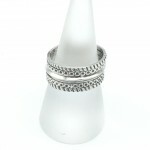 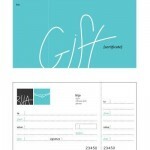 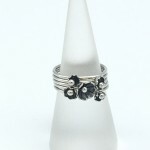 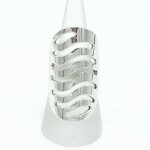 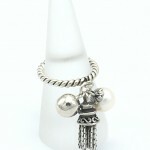 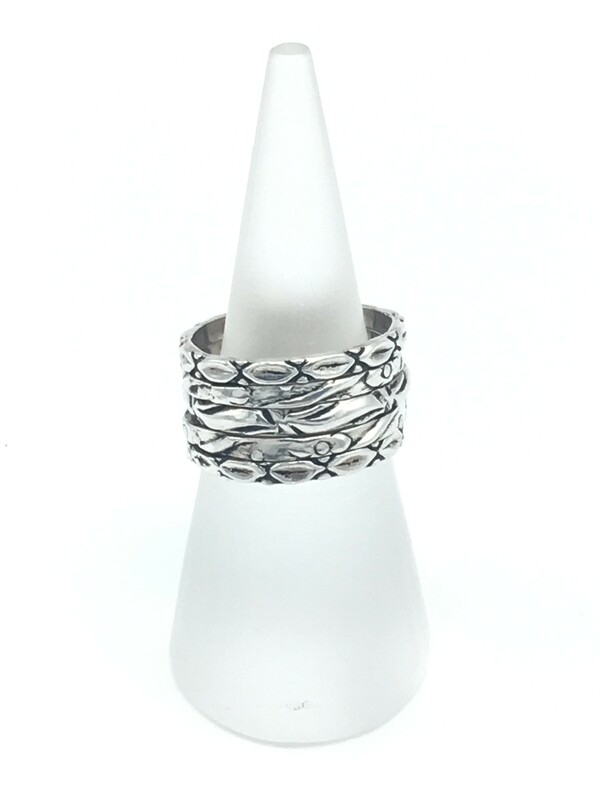 Be the first to review “Oxidized Patterned Bands” Click here to cancel reply.